Who wouldn’t like to see the back of school bags, shoes, hats and coats cluttering up the entrance hall? I would hazard a guess that this is pretty much everyone which is why when you are planning a new house or renovating an existing one you should consider including a Mud Room. 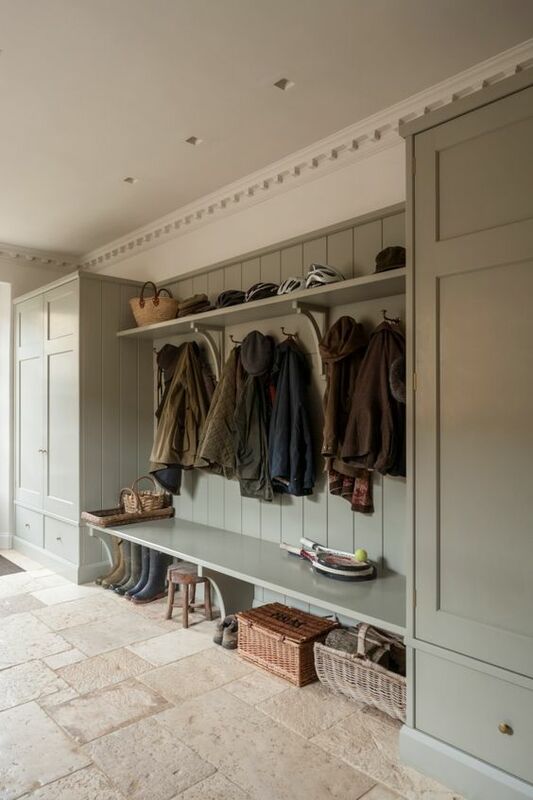 Once considered the domain of wealthy landowners, the humble Mud Room is one of the most practical rooms in the house and one that by virtue of its existence, makes all the others so much tidier! 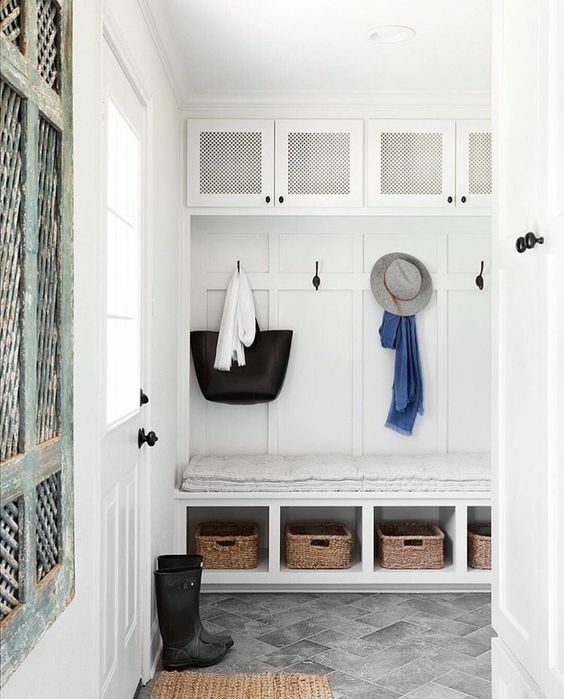 A mud room can be combined with the laundry, particularly if you have a large room. This room then becomes the workhorse of the house but unless it is planned and organised well it could end up a general dumping ground that is difficult to keep clean and tidy. Don’t be put off by the fact that you don’t have a great deal of useable space for a mud room. There are lots of inclusions but if planned well, you should be able to incorporate them all. The flooring. Floors should ideally be tiled in at least a mid-tone neutral with a matching grout so that it can be easily swept and mopped clean. Storage. 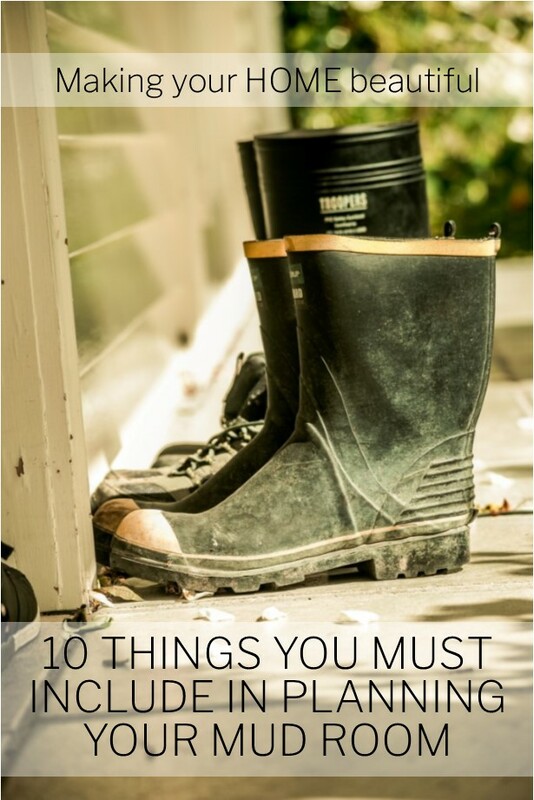 Without this your mud room will be a disaster. 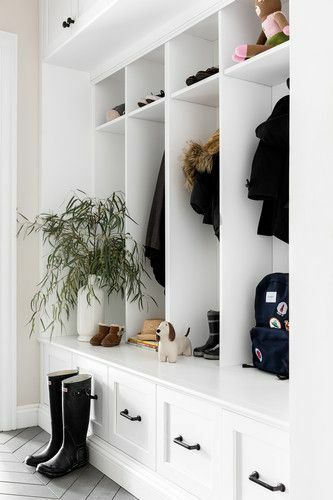 Ensure you have a tall coat cupboard and other cupboards with shelving that are large enough to store school bags etc. Custom joinery can be expensive but if you have a small space it could save you money as a good designer will make use of all the available area and tailor it to your family’s needs. A bench seat. Either built into the cabinetry or a stand-alone seat if you have the additional space. A must have, particularly if you have young children or you don’t like hopping around the room to remove gumboots! Plenty of hooks. Consider the size of your family and all the coats and hats that you have which need to be stored away. 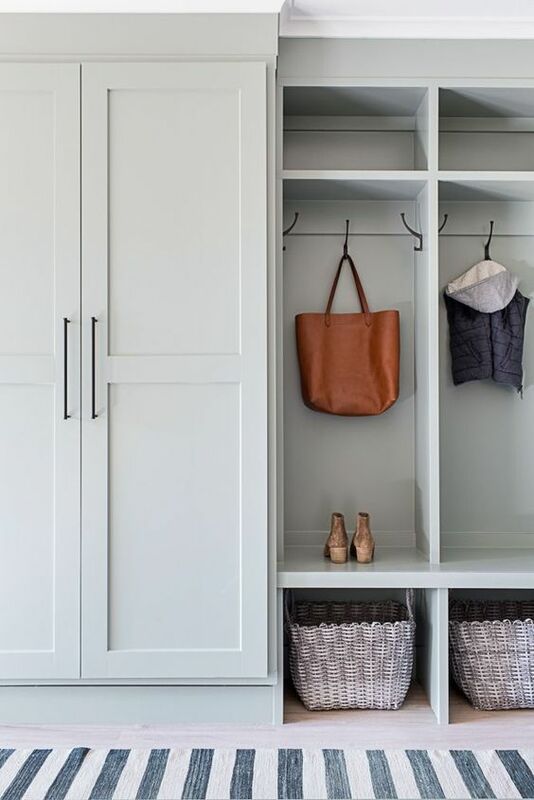 They can of course go into the cabinetry but not if they are wet, so hanging space outside of the cupboard can be really useful in a mud room. A hanging rail. If you have space this complements the hooks well and gives you more space to air and dry wet coats etc. Baskets. Where would we be without baskets when undertaking a home organisation project? Baskets are so useful for miscellaneous storage and also look good. Umbrella stand. Essential to keep umbrellas tidy and when placed near the door, you won’t forget your umbrella again. A large sink. 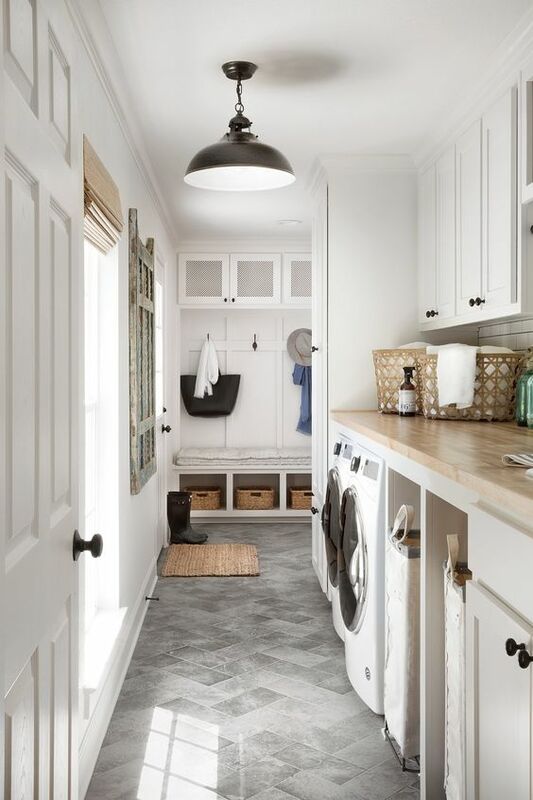 If your mud room is independent to your laundry room, a large sink can come in very handy, particularly if you have pets that are muddy after their walk. Pull out drawers. As we know from contemporary kitchen design, drawers can be considerably more useful for storage than cupboards as you can see at a glance everything that it contains and you use all of the space rather than the first 10 centimetres of a cupboard. Pull out drawers are very useful for storing shoes. If you have drawers the length of one wall – possibly underneath a bench seat, you can allocate one drawer or a section to each member of the family. An entrance mat. Don’t let the mud and dirt get too far into the room. A good quality sturdy mat at the entrance door is my final inclusion. Don’t despair if you don’t have the space available for your own mud room. You can include the majority of the points above in a hallway design that is open to the rest of the house. 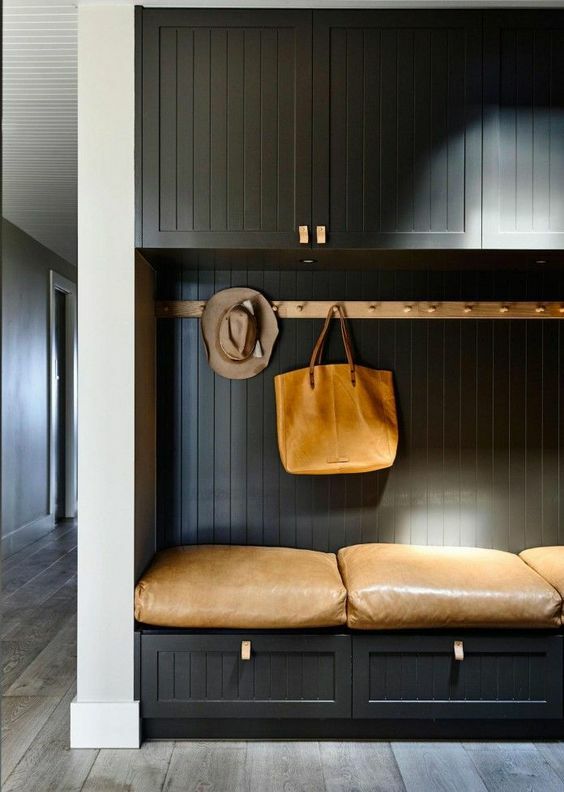 When planning a new home you could consider having a larger entry at the rear of the house and incorporating bench seating, shoe storage and cupboards dedicated to hats, bags and coats. 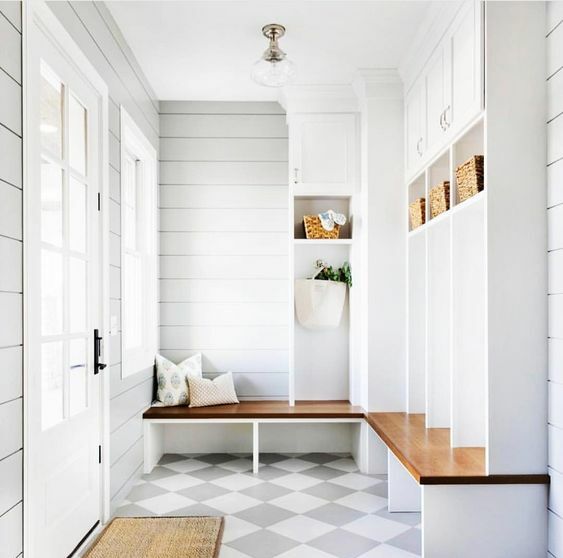 The clever design above demonstrates how a functional mud room can be turned into a design statement. The farmhouse image below is also part of a hallway design but has many of the elements of a traditional mud room. Think how organised and clean the rest of your house could be if you had a mud room – either a dedicated one, as part of a laundry design or even an alcove in a generous sized hallway. It may even be worth considering giving up that small additional guest bedroom that never gets used! I would love to hear from you if you have a mud room or are planning to have one. 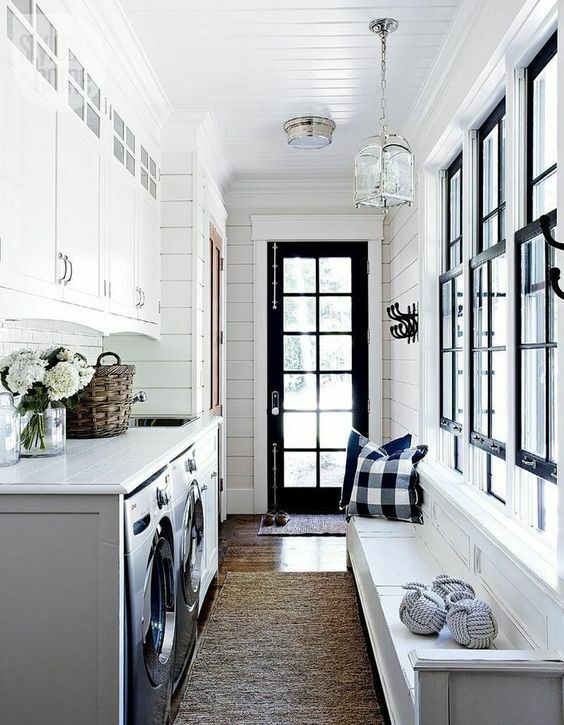 I have lots of inspiration on my Pinterest page for Mud rooms and laundries – hope to hear from you.